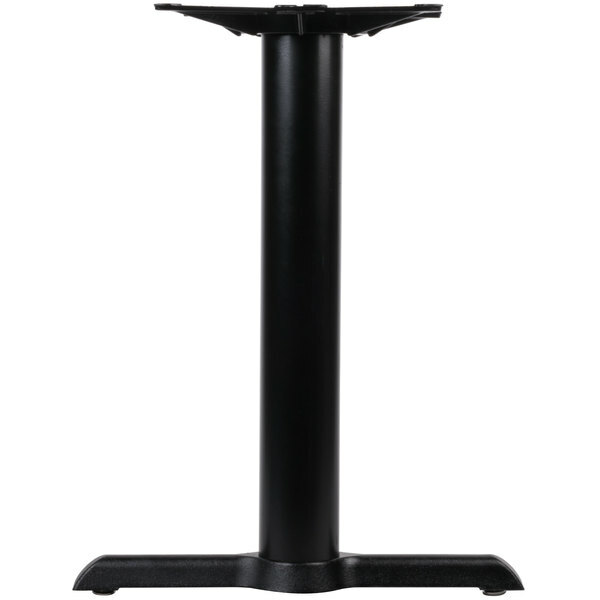 Perfect for virtually any environment, this Lancaster Table & Seating 5" x 22" end black 4" standard height column table base is a sturdy, reliable, and attractive choice for your operation. Made of black powder-coated cast iron, the base even comes standard with everything you need, but the table top! A straight base plate helps steady the standard height column, while the table base spider secures your table top to the base.